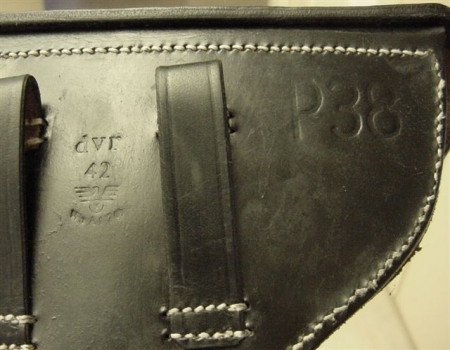 A hard to find Nazi marked VIS-35 Polish Radom leather holster. The photograph on the right is a picture of a marking that is found on the inside of the flap. 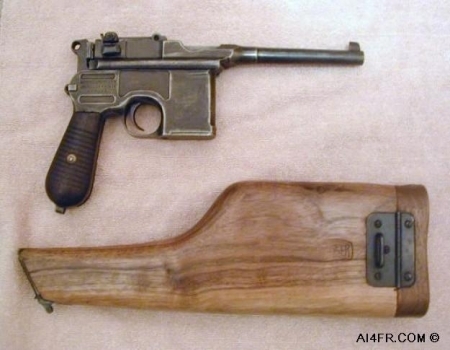 A broomhandle Mauser model M-30 wooden holster. 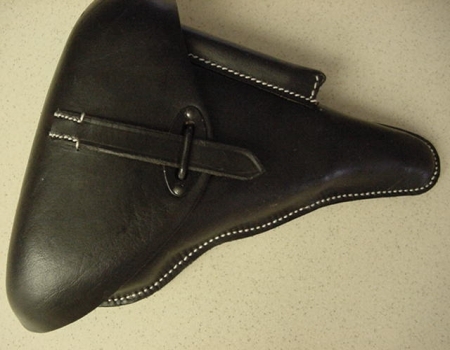 The pistol fits inside of this holster. 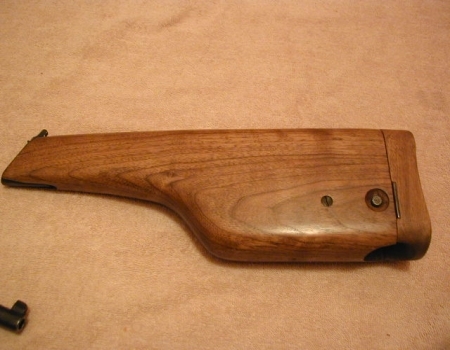 Also, this wooden holster can be attached to the rear of the grips on the pistol to serve as a stock. 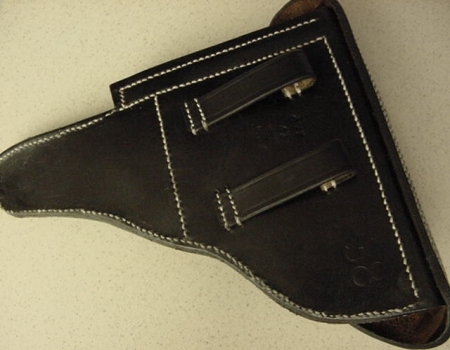 A German WWII era Luger leather holster. 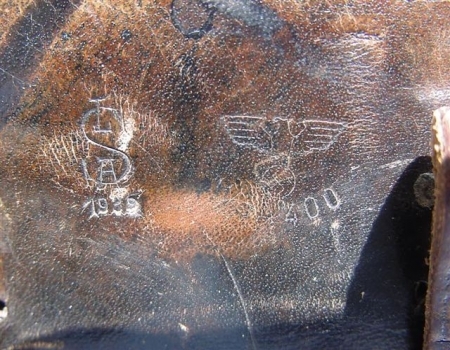 The picture on the left shows some of the markings that are found on the back of this Luger holster. 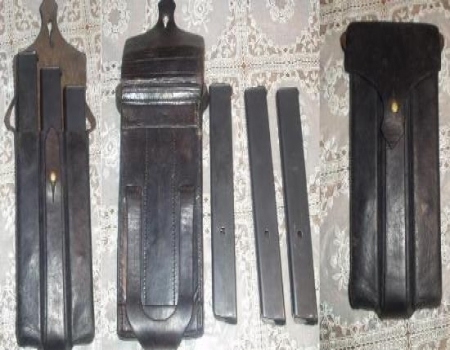 The picture on the right was from the seller of the holster which came with an S/42 1939 Luger. 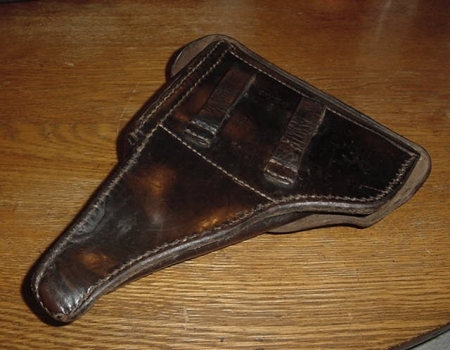 A German WWII era P-38 leather holster. 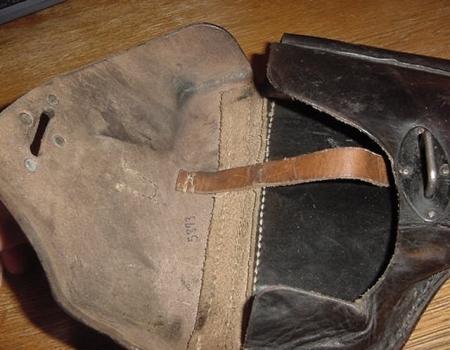 The picture on the left is showing the front of the holster with the flap opened. 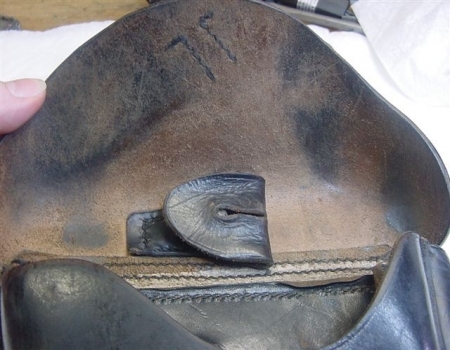 The picture on the right is of the back of the holster and shows not only the belt straps but also some of the markings that are found on this holster. Wow!! 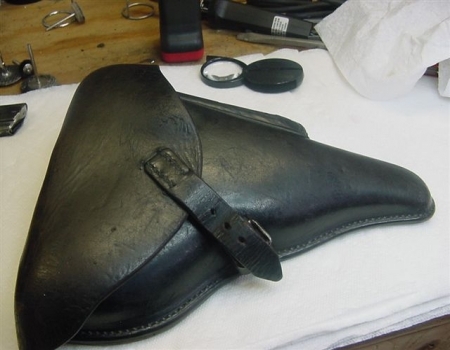 Look at how clean this P-38 leather holster is. 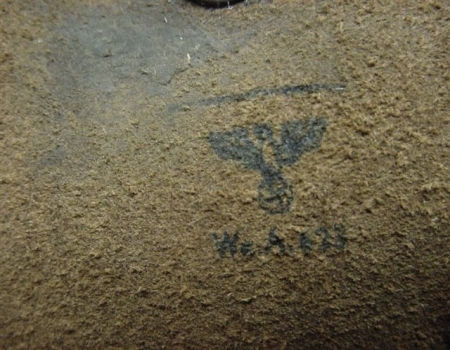 Even the white threads holding it together look as if they were just made and not from the WWII era. 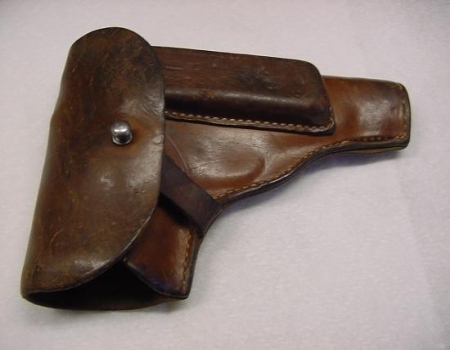 Well, the reason for that is because this is indeed a reproduction holster that some one can purchase today. 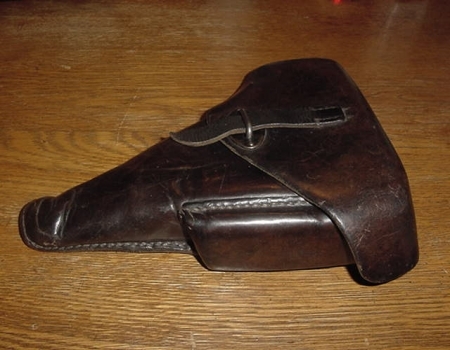 The picture on the left is showing the front of the reproduction holster with the flap opened and a Russian captured P-38 inside. 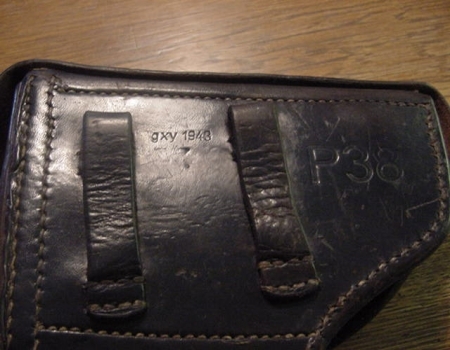 The picture on the right is of the back of the holster and shows not only the belt straps but also some of the markings that are found on this reproduction holster. It sure does look close to the authentic example from above. 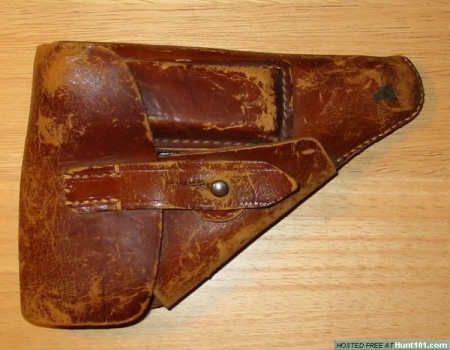 This German WWII era holster could fit a number of small arms from the time. I have decided to use it to keep safe a Walter PPK. 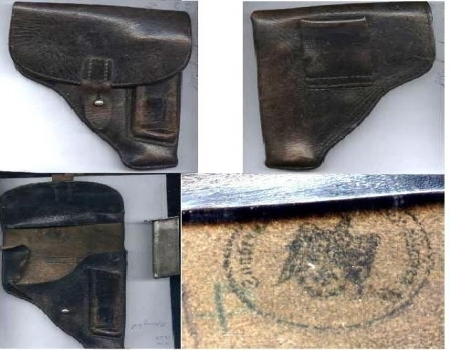 The picture on the right, while not very good shows us some different views of this holster as well as one of the markings found on it. 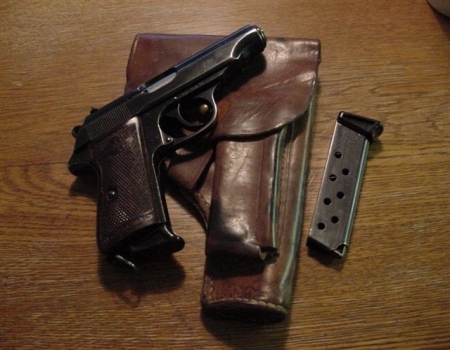 The photograph on the right is of an MP34 holster along with a few magazines for this weapon. I hope to get some better pictures of this item soon. 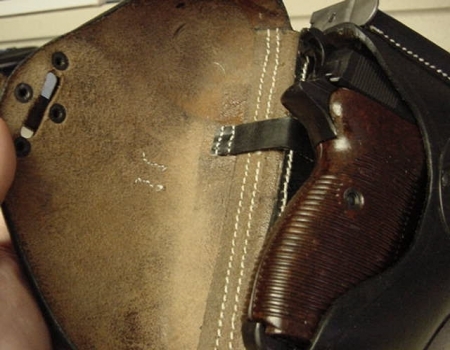 The photograph on the right is a holster that came with an Astra pistol. 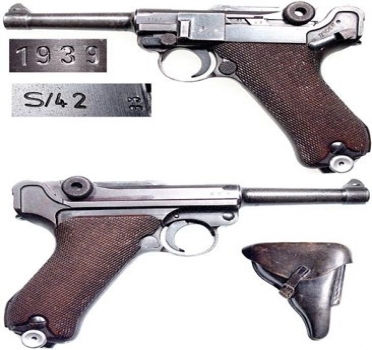 The Astra pistol, while Spanish made, has the correct serial number proving that it was ordered by the Nazi's.